David and Charlotte paid their dues. They traveled to another realm, battled the Dragon King, recovered the all important magic key to the mage tunnels, and found the heir to the throne of Hirth, as promised. Now it's time to go home. There's just one problem: the powerful crystals needed to activate the tunnels have been stolen...and David's parents have mysteriously disappeared along with them. Guess who's not going home to Havendale anytime soon. J. Keller Ford is a former paralegal who grew up as an Army brat, traveling the world and wandering the halls of some of Germany's most extraordinary castles. When not at her keyboard breathing new life into fantasy worlds, she spends time overloading on coffee, collecting seashells, bowling, swimming, riding roller coasters, and talking plotlines with anyone who will listen. She lives in North Lago, Florida. J. (Jenny) Keller Ford grew up as an Army brat, traveling the world and wandering the halls of some of Germany's most extraordinary castles. From the time she was old enough to hold a crayon, she wove fantasy tales of dragons, warriors, and princesses. A former paralegal, she's the author of several short stories including The Amulet of Ormisez, Dragon Flight, and The Passing of Millie Hudson. 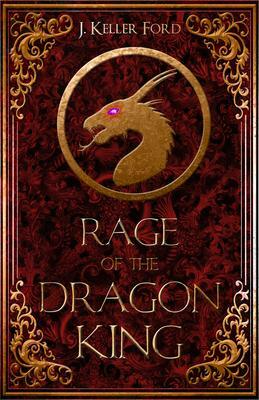 Her debut YA novel, IN THE SHADOW OF THE DRAGON KING, is scheduled to release Summer 2016 by Month9Books. When not at her keyboard breathing new life into fantasy worlds, Jenny spends time overloading on coffee, collecting seashells, bowling, swimming, riding roller coasters and talking plotlines with anyone who will listen. She lives on the west coast of Florida with her husband, two sons, two dogs, and a pretentious orange cat. Her two daughters and grand-daughter make their homes in Seattle, WA.